It was not an ordinary day like others at the Police headquarters in Naguru , not only for the public but also the entire police force. First, it was the handover ceremony for the outgoing police chief, having been at the mantle of the force for the past 12 years but it was also the opening day for a new era as a new team was entering office. The uniqueness of the day could be seen right at the entrance of the police headquarters with deployment of a big number of officers at both quarter guards. 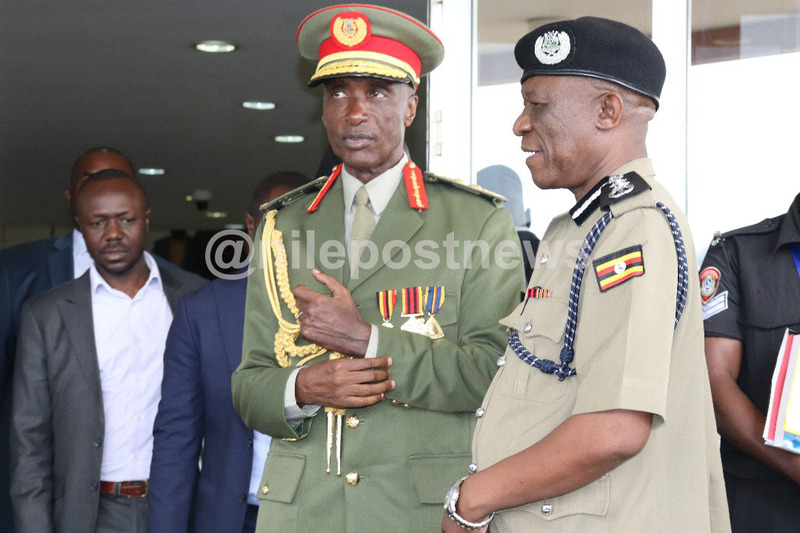 A few minutes after 10 am, another unusual thing happened as Gen.Kale Kayihura arrived at the police headquarters and used the main entrance to the building that he had arguably used not more than 10 times in his entire time as police boss. He always used the entrance to the IGP’s office in the sides of the police building and was always chauffeured near the entrance but the story was different this time round. On his last day at office, he had arrived too early, contrary to what many including journalists had been used to during his tenure when he always an hour later than the specified time. Journalists were caught off guard and astonished on seeing a pencil thin gentleman donning the army uniform disembarking from a Toyota Landcruiser V8 series with private numbers and driven by a UPDF soldier as he passed through the main checkpoint and waved to them plus other junior officers and staff at the police headquarters. 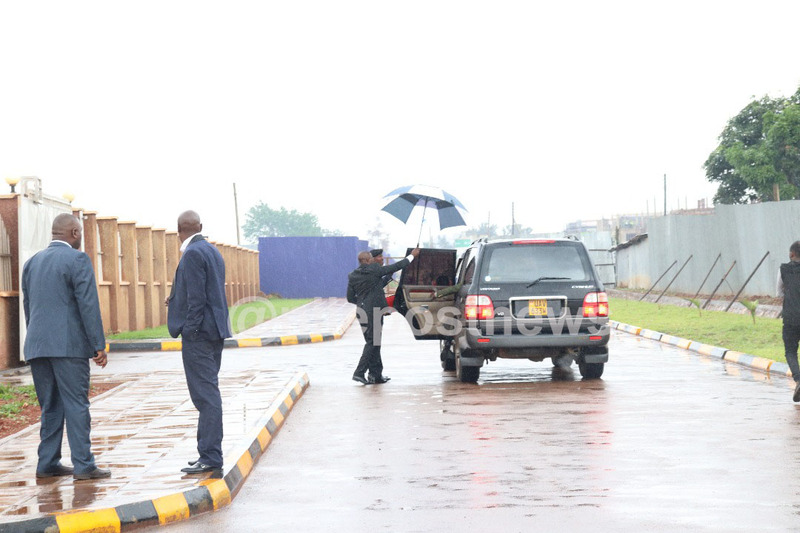 Former IGP Kayihura being chauffeured out police headquarters in Naguru. Ordinarily, Gen.Kayihura was being driven by the same person but in police uniform but this was not the case on this peculiar Thursday. By the time the members of the fourth estate realized it was the outgoing police chief, he was nowhere to be seen and a few photos of his taken were so clear because it was abrupt. He was later followed by the new Deputy Inspector General of Police to the IGP’s office where they met the new boss, Martin Okoth Ochola for a word or two. Meanwhile, two brand new seats were seen being taken up to the office of the Inspector General of Police. During the handover function, almost all police directors were present for the function and seemed happy and ready for the occasion. One bizarre moment was that AIGP John Ndungutse, the director in charge of counter terrorism was not dressed in uniform. 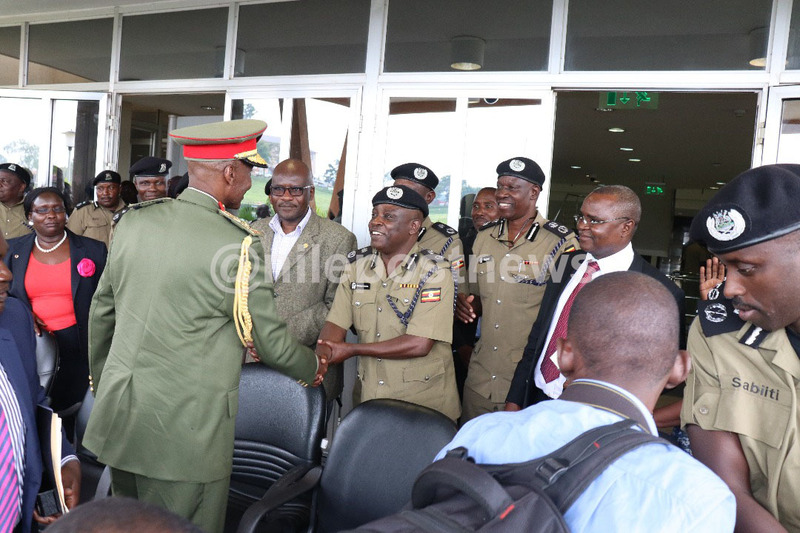 Gen.Kayihura bids farewell to police directors. After the function, he was seen bidding farewell to the police directors, staff and junior officers at the police headquarters, something usual. To confirm the day was not ordinary, the junior officers were seen mesmerised by what was happening and many of them gathered to gaze as the ‘visitors’ passed by. Kayihura was then escorted to his waiting vehicle by not more than four officers but all of them in plain clothes, unlike the usual setting. He would later in a bizarre way use another exit and left the police headquarters as he avoided the media, who prior to today’s events he would welcome for questions about a number of issues. The new IGP Okoth Ochola and his deputy Brig.Muzeeyi Sabiiti. The police image has been at its worst in the recent years over brutality against opposition politicians and failure by the force to tame the ever increasing level of crime in the country. In his last speech Kayihura admitted that the police force’s image is not at its best but said by the time hands over office, it is better than how he found it in 2005 as he took over from Gen.Katumba Wamala. “In spite of the recent bad image, I am handing over a police force that is in a better shape than the one I found. Its now built on a solid foundation,” he said. 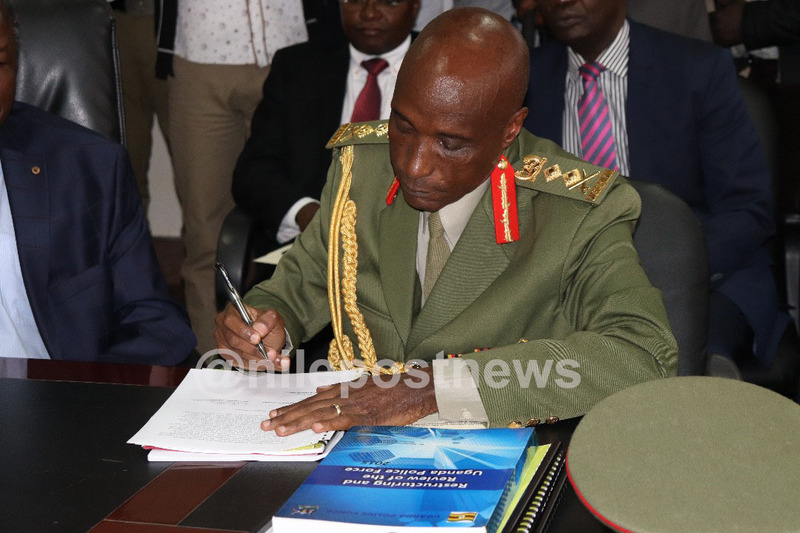 On a number of occasions, Kayihura has been blamed for sidelining some old guards in force in favour of the new blood many whom were branded his blue eyed boys and were rising fast in ranks during his tenure. 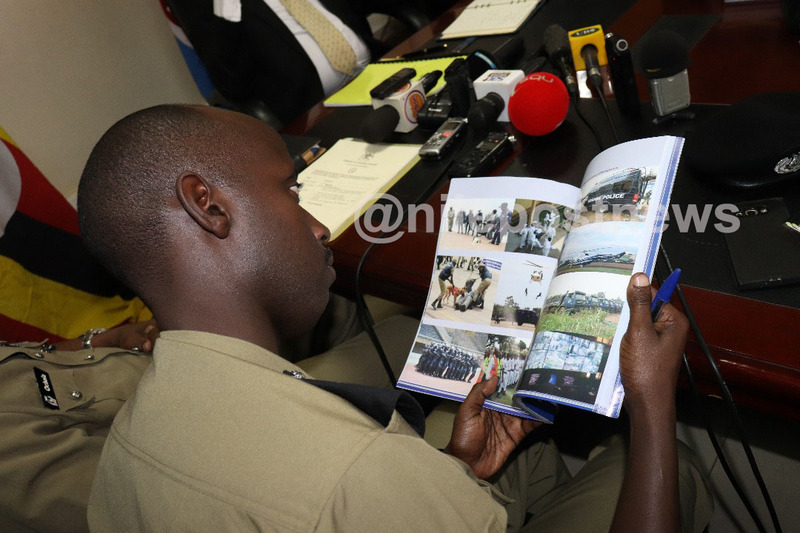 Speaking during his vetting before the parliamentary Appointments Committee last week, the new police boss Martin Okoth Ochola said many junior officers wielded more powers and orders than their seniors. The now former police boss however said he was sorry for any mistakes he could have made during his tenure in office, saying they were beyond his control. 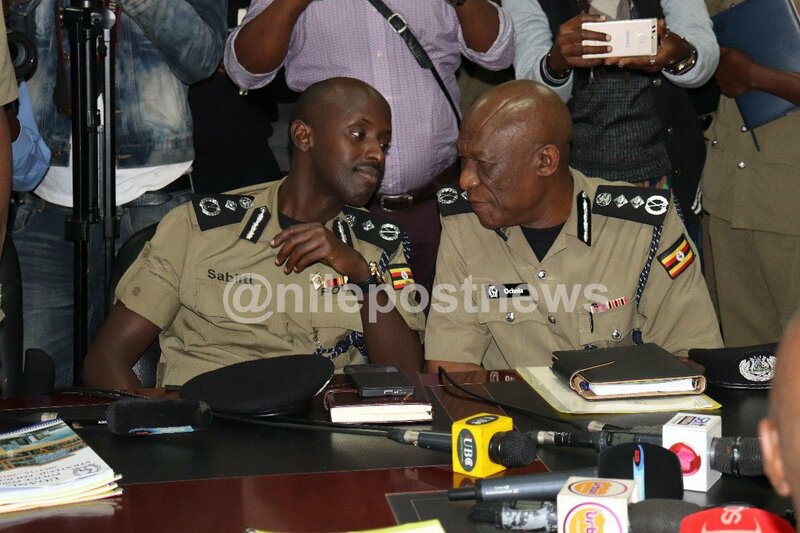 Kayihura was two weeks ago deposed and replaced by Ochola as the Inspector General of Police. 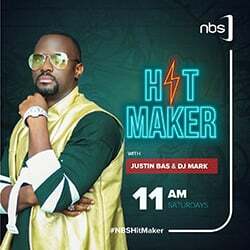 Speaking on Thursday, he said he was indebted to President Museveni for entrusting him with the leadership of the police force for the past 12 years, a thing he said was not a mini achievement. 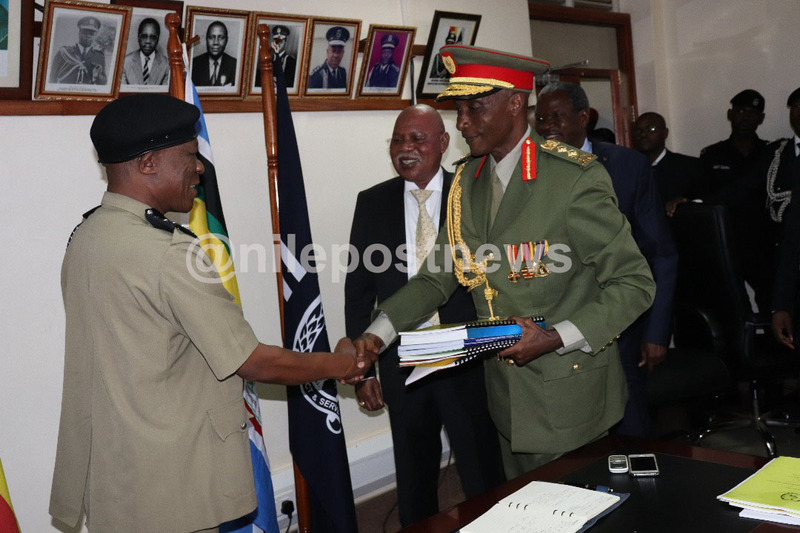 Recently, Ochola reportedly told the Parliamentary Appointments Committee that as deputy, he had not control over what was happening adding that the police force died the day the current State minister for Works, Gen Katumba Wamala left as IGP. However, in his speech, Kayihura seemed to be hitting his predecessor directly saying that as a team, they share both failures and achievements together and equally. “The fact that it’s Mr. Ochola who has been appointed shows that the commander in chief appreciates that something good has been done by our team,” he added. Kayihura leaves office, exactly 12 years and two months after being appointed in 2005 to replace Katumba Wamala. However, in another bizarre occurrence unlike many handover ceremonies, journalists were not allowed to ask questions to any of the outgoing and coming police bosses.